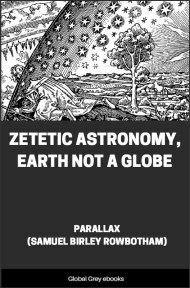 Samuel Birley Rowbotham, under the pseudonym 'Parallax', lectured for two decades up and down Britain promoting his unique flat earth theory. 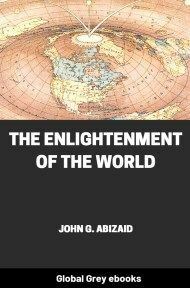 In this book he lays out his world system. 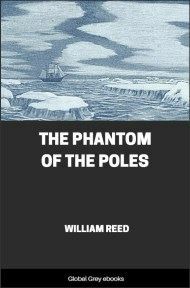 Rowbotham believed that the earth is flat; that the continents float on an ocean which has a layer of fire under it; that the lands we know are surrounded by an infinite wilderness of ice and snow, beyond the Antarctic ocean, bordered by an immense circular ice-cliff. The Zetetic Sun, moon, planets and stars are all only a few hundred miles above the surface of the earth. Needless to say, to make his system work, the author had to throw out a great deal of science. THE term Zetetic is derived from the Greek verb Zeteo; which means to search, or examine; to proceed only by inquiry; to take nothing for granted, but to trace phenomena to their immediate and demonstrable causes. It is here used in contradistinction from the word "theoretic," the meaning of which is, speculative--imaginary--not tangible,--scheming, but not proving. None can doubt that by making special experiments, and collecting manifest and undeniable facts, arranging them in logical order, and observing what is naturally and fairly deducible therefrom, the result must be more consistent and satisfactory than the contrary method of framing a theory or system--assuming the existence and operation of causes of which there is no direct and practical evidence, and which is only claimed to be "admitted for the sake of argument," and for the purpose of giving an apparent and plausible, but not necessarily truthful explanation of phenomena. All theories are of this character. "Supposing, instead of inquiring, imagining systems instead of learning from observation and experience the true constitution of things. Speculative men, by the force of genius may invent systems that will perhaps be greatly admired for a time; these, however, are phantoms which the force of truth will sooner or later dispel; and while we are pleased with the deceit, true philosophy with all the arts and improvements that depend upon it, suffers. The real state of things escapes our observation; or, if it presents itself to us, we are apt either to reject it wholly as fiction, or, by new efforts of a vain ingenuity to interweave it with our own conceits, and labour to make it tally with our favourite schemes. Thus, by blending together parts so ill-suited, the whole comes forth an absurd composition of truth and error. * * * These have not done near so much harm as that pride and ambition which has led philosophers to think it beneath them to offer anything less to the world than a complete and finished system of Nature; and, in order to obtain this at once, to take the liberty of inventing certain principles and hypotheses from which they pretend to explain all her mysteries." "Theories are things of uncertain mode. They depend, in a great measure, upon the humour and caprice of an age, which is sometimes in love with one, and sometimes with another." The system of Copernicus was admitted by its author to be merely an assumption, temporary and incapable of demonstration. The following are his words:--"It is not necessary that hypotheses should be true, or even probable; it is sufficient that they lead to results of calculation which agree with calculation. * * * Neither let anyone, so far as hypotheses are concerned, expect anything certain from astronomy, since that science can afford nothing of the kind, lest, in case he should adopt for truth, things feigned for another purpose, he should leave this science more foolish than he came. * * * The hypothesis of the terrestrial motion was nothing but an hypothesis, valuable only so far as it explained phenomena, and not considered with reference to absolute truth or falsehood." 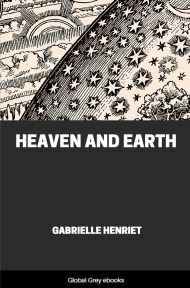 The Newtonian and all other "views" and "systems" have the same general character as the "hypothesis of the terrestrial motion," framed by Copernicus. The foundations or premises are always unproved; no proof is ever attempted; the necessity for it is denied; it is considered sufficient that the assumptions seem to explain the phenomena selected. In this way it is that theory supplants theory, and system gives way to system, often in rapid succession, as one failure after another compels opinions to change. Until the practice of theorising is universally relinquished, philosophy will continue to be looked upon by the bulk of mankind as a vain and mumbling pretension, antagonistic to the highest aspirations of humanity. 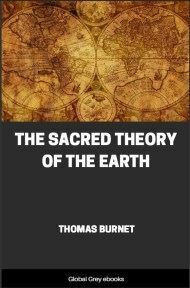 Let there be adopted a true and practical free-thought method, with sequence as the only test of truth and consistency, and the philosopher may become the Priest of Science and the real benefactor of his species. "Honesty of thought is to look truth in the face, not in the side face, but in the full front; not merely to look at truth when found, but to seek it till found. There must be no tampering with conviction, no hedging or mental prevarication; no making 'the wish father to the thought;' no fearing to arrive at a particular result. To think honestly, then, is to think freely; freedom and honesty of thought are truly but interchangeable terms. For how can he think honestly, who dreads his being landed in this or that conclusion? Such an one has already predetermined in his heart how he shall think, and what he shall believe. Perfect truth, like perfect love, casteth out fear." Let the method of simple inquiry--the "Zetetic" process be exclusively adopted--experiments tried and facts collected--not such only as corroborate an already existing state of mind, but of every kind and form bearing on the subject, before a conclusion is drawn, or a conviction affirmed. "Nature speaks to us in a peculiar language; in the language of phenomena. She answers at all times the questions which are put to her; and such questions are experiments." "Nature lies before us as a panorama; let us explore and find delight, she puts questions to us, and we may also question her; the answers may ofttimes be hard to spell, but no dreaded sphinx shall interfere when human wisdom falters." We have an excellent example of a "Zetetic" process in an arithmetical operation, more especially so in what is called the "Golden Rule," or the "Rule of Three." If a hundredweight of any article costs a given sum, what will some other weight, less or more, be worth? The separate figures may be considered as the elements or facts in the inquiry; the placing and working of them as the logical arrangement of the evidence; and the quotient, or answer, as the fair and natural deduction,--the unavoidable or necessitated verdict. Hence, in every arithmetical or "Zetetic" process, the conclusion arrived at is essentially a quotient; which, if the details are correctly worked, must of necessity be true, and beyond the reach or power of contradiction.